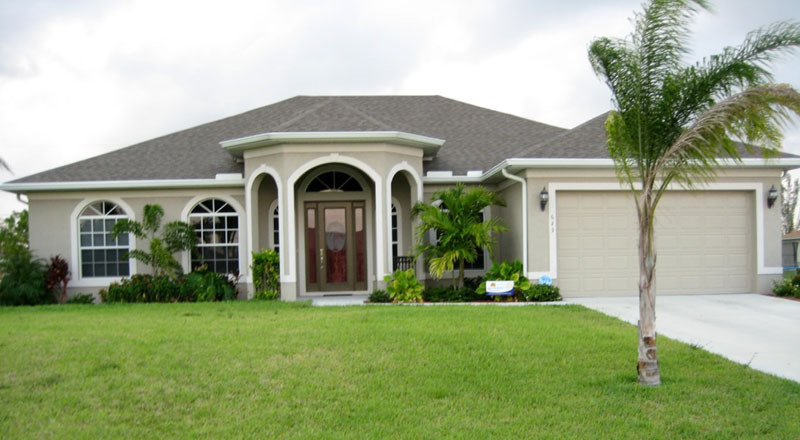 The Phoenix model is a smaller home with all the features the others call options. 12’-8”ceilings in the Foyer, ten foot ceilings elsewhere, crown moldings in all coffered ceilings, 8 foot tall solid core doors, fine wood cabinetry, stainless steel appliances, granite countertops, insulated impact glass windows and doors, stucco ceilings outside and tile floors everywhere but the bedrooms and a shared pool bath. 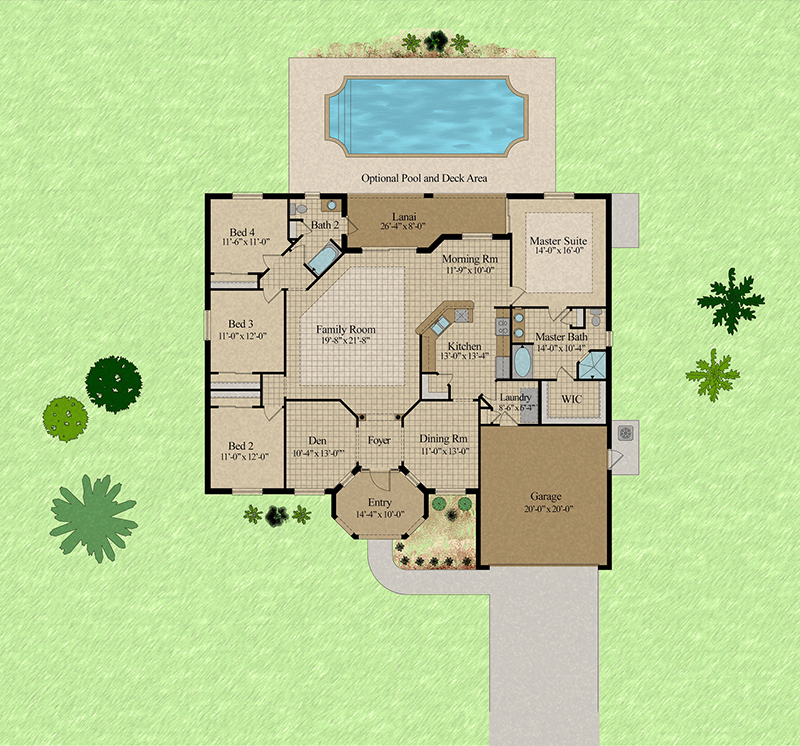 A Master suite that is both private and spacious with access directly to the Lanai.